So I missed another day of publishing a blog post. This time was different from last time, though. This time, I got so caught up in doing something else that I forgot to write a blog post. I have decided not to be too hard on myself, however, because I usually have trouble concentrating on things for a long time. I was working my way through this week's modules for a free online course about musical notation. Things like this (learning courses) are the types of things that I normally have trouble concentrating on but I was actually able to concentrate on it for a while so I'm happy about that. I guess this blog is my place to talk about things like that, how I have trouble concentrating and how I try to keep up with things. There are all sorts of challenges in my life that I am trying to work my way through. I'm trying to improve. I'm trying to become better at working on things. I'm trying to become better at concentrating on things. I'm trying to continue to learn more about the subjects that interest me. Winter is the perfect time when I'm stuck inside a lot. Once spring and summer come along, I'm going to want to spend more time outside. I've thought about bringing my hobbies outside with me during the warmer months. I could bring whatever I'm working on whether it be art, writing, studying, reading, etc. Maybe I'll bring them with me to our swing in our little garden area that we have dubbed our zen garden. Or maybe I'll bring them with me to the table on our front porch or to the lawn chairs beside our pool. Maybe working outside will give me a boost when it comes to productivity since it will be a change of environment. I find that a change of environment helps with concentration. At home, I often get bored of the room that I'm working in and want to move my work elsewhere. Working in new places like various libraries has shown to help me work. I'll be in a different location and suddenly I get a lot of work done. Accomplishment makes me happy. I get a burst of pure joy when I'm able to tick something off of my to do list, especially since I procrastinate on a lot of the things on my to do lists. 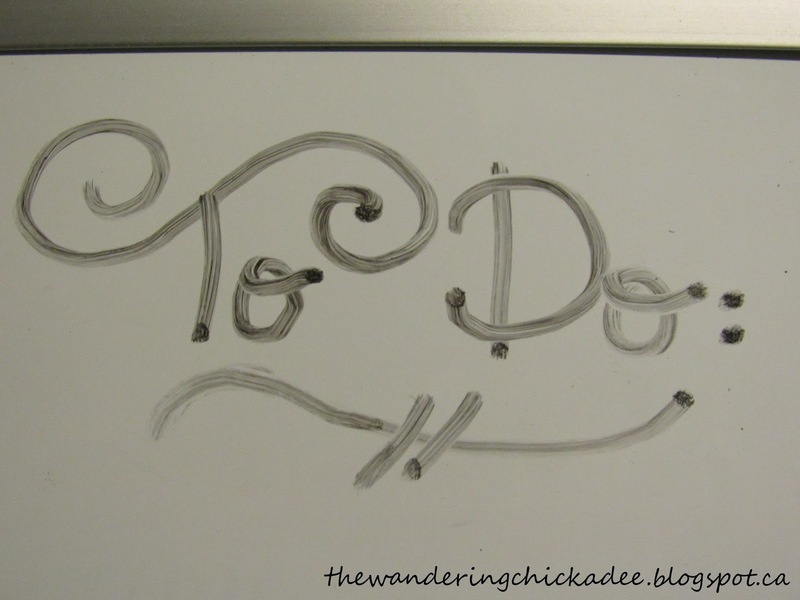 I write so many lists and most of the things won't get done for days, maybe even never. Well, here's to being more productive. Another goal for this year.